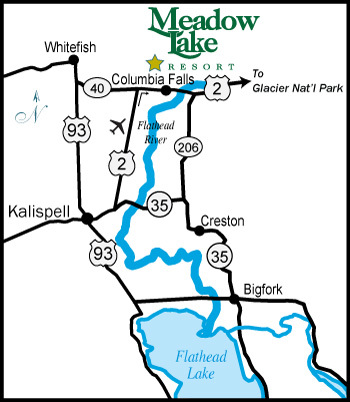 Located just minutes to Glacier National Park, Big Mountain at Whitefish and Flathead Lake, Meadow Lake Resort is close to dining, tax free shopping and a variety of recreational activities. You can enjoy everything from golfing, fishing, sailing, biking, hiking, skiing and much more! Plan your Montana vacation at Meadow Lake Resort today!